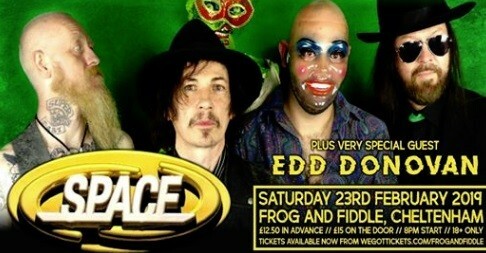 Britpop and indie rock legends SPACE the Band Official return to the Frog And Fiddle. The band was last here in March 2018, we sold out all the tickets in record time, and the band put on an incredible show! Don't sleep on these tickets, they are gonna move fast yet again! All the hits including Female Of The Species, The Ballad Of Tom Jones, Neighbourhood, Me And Your Versus The World, Avenging Angels, Begin Again, Mr Psycho, and loads more! Tickets available now from wegottickets.com/frogandfiddle for just £12.50 each (plus 10% booking fee), or pay £15 on the door in the unlikely event we don't sell out well in advance. Show starts at 8pm, 18+ only.